Recently, while doing research on another subject, I came across a statement Paige Patterson made to faculty of Truett-McConnell College on October 31, 2011. Dr. Patterson was present when faculty at Truett-McConnell were requested to sign the Baptist Faith and Message 2000. After observing each faculty member place his John Hancock on the 2000 BFM, Patterson said, "Better be dead, better never be remembered on this earth, than to fail to be true to that document which you have signed. May God bless you as you serve and teach in line with that which you have confessed. Hold to it, and someday you will hear, 'Well done, thou good and faithful servant." Patterson's statement illustrates the dilemma the Southern Baptist Convention has created for herself. 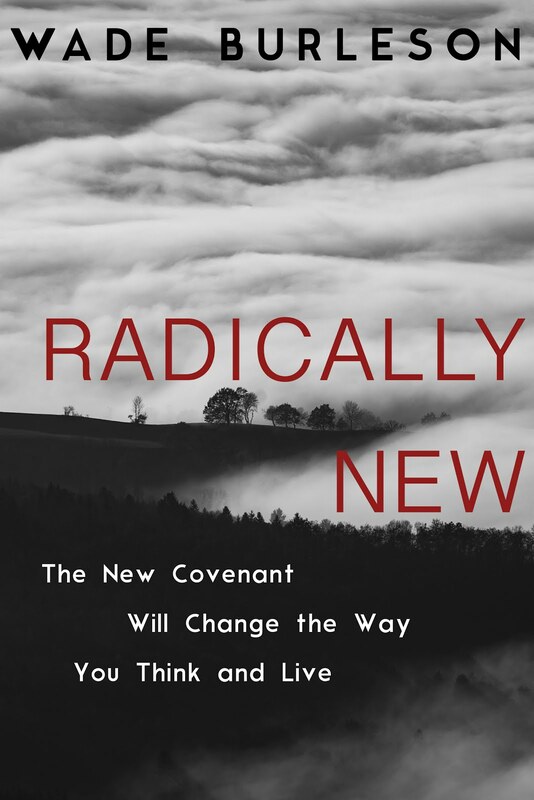 On the one hand, we Southern Baptists have successfully walled-off 'theological liberalism' from influencing our future direction, but on the other hand we have loosed an even worse demon among us. When a man-made document (2000 BFM), filled with possible fallible interpretations of the sacred and inspired text, is demanded by SBC leaders to be placed on equal footing with--and given equal authority to--holy Scripture, then we have a massive theological problem. John Leland, a Baptist forefather and an astute 18th century theologian himself, said, "Uninspired, fallible men make their own opinions tests of orthodoxy, and use their own systems as Procrustes used his iron bedstead, to stretch and measure the consciences of all other by. Supposing it was right for a man to bind his own consccience, yet surely it is very iniquitous to bind the consciences of his children--to make fetters for them before they are born, is very cruel." In the context of your article the Procrustean allusion is very apt! I'm far too aware that church leaders in this country "use their own systems as Procustes used his iron bedstead, to stretch and measure the consciences of all". Its amazing how little has changed in the 250 years since Procrustes. I find Dr. Patterson's words frightening but predictable. Since you were once an IMB trustee, I assume that you signed or affirmed the BF&M 2000. If asked to sign it again, would you? I ask beause I am serving on a board of 99 persons. I am the only one of the 99 who refused to affirm the BF&M. Even though I am avoided like the plague, I have no regrets about my decision. It was not an act of rebellion, rather a matter of conscience. I signed the BFM 2000 and added three pages of caveats (disagreements). I spent the vast majority of the paper showing how NO MAJOR BAPTIST CONFESSION should EVER contain tertiary issues and require conformity of agreement before participation in missions. I then proceeded to show them where tertiary issues had been placed in the BFM 2000. To read more about it, you may go here. Yes, I remember now. Thank you for your reply. The things that the Holy Spirit says in scripture about "confess" or "confession" can be found by looking at the occurrences in the New Covenant of the related Strong's words G3670, G3671, and G1843. Reading these verses (about 40 of them), especially doing so in the full contexts of scripture in which they appear, are eye opening. The way the Holy Spirit uses these words in scripture is far apart from the way which Dr. Paterson and others are using "confession" in regard to the Baptist Faith and Message. There is, however, a "good confession" in scripture. 1Ti 6:12 Fight the good fight of faith, lay hold on eternal life, to which you were also called and have confessed the good confession in the presence of many witnesses. My family joined a Southern Baptist Church in December 1999. In fact, it was the very same church where the Pattersons were members. Paige delivered the Mother's Day message to the congregation shortly thereafter, and I actually went up to him afterwards, shook his hand, and introduced myself. 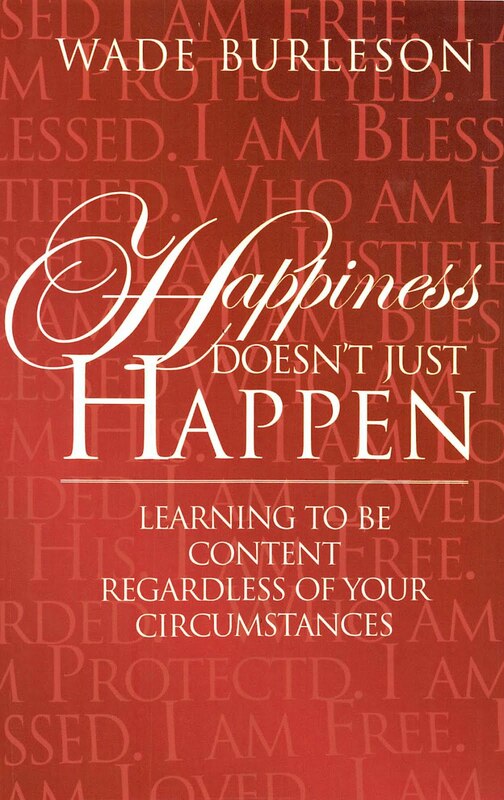 Recalling that chapter in my life is painful, given what has transpired since then. Dr. Patterson said:""Better be dead, better never be remembered on this earth, than to fail to be true to that document which you have signed. May God bless you as you serve and teach in line with that which you have confessed. Hold to it, and someday you will hear, 'Well done, thou good and faithful servant." How did Dr. Patterson ever become this powerful and yet require this faculty to be part of such nonsense? "Better be dead, better never be remembered on this earth, than to fail to be true to that document which you have signed." I find this type of statement very offensive. Such loyalty should be pledged to God's Word, not a man-made document. I was a supporter of the "fundamentalist" movement in the SBC for many years. I finally realized that the movement was more about conformity than truth. It is embarrassing that SBC leaders would force people to sign this or any other document. As Christians we have equal access to God's Word, His throne through prayer, & His wisdom. The reality that a handful of men can force conformity is a shame. God bless the men & women in ministry who continue to stand on God's Word, & against the dictates & agendas of men. You said:"I was a supporter of the "fundamentalist" movement in the SBC for many years. I finally realized that the movement was more about conformity than truth." How refreshing to hear someone actually say this who was a part of the "fundamentalist" movement. The movement was and is about conformity. I remember, as a child, marching in to open assembly during Vacation Bible School and saying the pledge to the Bible, the Christian Flag and the American Flag. Perhaps we should add a pledge to the BF&M 2000. Since this is such a wonderful document why should we deny our Children the right to pledge their allegience also. Perhaps It might go something like this; "I pledge allegience to the BF&M, and all its future revisions. I will make it a lamp unto my feet and a light unto my path that I may not anger the establishment." Seriously, Wade you stated "We have successfully walled off theological liberalism." One of the dangers of making a correction is over correcting. We have avoided running into the ditch on the left side of the road but in so doing, we have run off the cliff on the right. It is as if some want to act as if the 2000 BF&M is a God given document. Shame on anyone who wishes to elevate this man-made and I do mean man-made document to the level of inerrant God-breathed scriptures. I know they would say they are not doing that, but they are. When affirming the BF&M becomes a pre-condition of employment or serving on a board or committee it indeed hampers ones' freedom of thought. Even though the originators call it a confession, they use it like a creed. A creed is determined not by what it says rather by how it is used. A creed is a statement that is used to force conformity of belief. Someone will sign this 2000 BF&M when they do not really want to, to be able to keep or get a job or to avoid confrontation (s). But those seeking uniformity do not care about this "little" issue. Dr. Patterson's statements are so extreme that it makes one wonder if he is serious. Yet, how could anyone say such things in jest? I have a simple take on Patterson as I watched him and his kind take over the SBC by hook or crook. They lied about my professors at SEBTS. He got reports daily from classrooms to the point some professors forbade students from taking tape recorders into their classrooms. Within a few hours of any lecture the call came from Texas concerning what was said---often taken out of context! His reward was to become President of SEBTS. Mrs. Patterson renamed the President's house "Magnolia Hill." The funny aspect is that Magnolia was the last house of ill repute in Wake County known well by the old timers or Wake Forest. His real lack of consistency came as he tried to bring his old hound dog into Magnolia Hill. Despite all the bombast about wives being subissive to husbands, Miss Dorothy invited the dog out and Paige cited it in his President's column in the Alumni Magazine. It is all about bombast and control--commonly described by the word "abuse." One day the modern day Pharisees of the SBC will stand before God. As Jesus said, the sheep and goats will be separated. I fear Dr. Patterson will find himself among the goats and that might just send him somewhere he has not yet conceived! All the hand-wringing about dear old Paige and his power and influence in the SBC would be amusing if it weren't so tragic. Where was that concern from the late 70's through the 80's when Paige and his buddy, the Judge, systematically devoured the soul of the Convention. Anyone who opposed them was shouted down and labeled a "liberal." Truth was the first casualty of Patterson's and Pressler's manufactured crisis in the SBC. They and their supporters murdered the careers and reputations of hundreds of faithful Christian servants. Now you're concerned? Go figure! You said:"They and their supporters murdered the careers and reputations of hundreds of faithful Christian servants." and yet many CR supporters view the ones they destroyed as just being "collateral damage." I assure everyone that I am not trying to be funny or witty but maybe CR meant the following to some--Career Ruination." What do we use to become the test of orthodoxy? I was and still am a conservative Christian. But what happened when the BFM2000 was elevated to lordship was the deathknell of the SBC. Once it was possibly the greatest evangelistic group the world has seen. But when Jesus ceased being the final arbiter of the faith and the "timeless" but very changeable "truths" of a few men were put in His stead, I believe He washed His hands of us. We need to read Roman's 1 again, and this time realize we are the one's who now worship the creation rather than the Creator. Oops--looks like the security words tagged along! A few years ago I wrote an article explaining that "Liberalism & Legalism" were both alike... both are deep ditches that run along the "Straight and Narrow Way" of God's Word. Both are destructive, both are dangerous, and both are a departure from God's Word. Orthodoxy could easily be defined in terms of what a person believes regarding the Person and work of Christ. Just as Nebuchadnezzar had his statue, Patterson has his 2000 BFM. I believe his small hand-picked group wrote exactly what Patterson approved. His words; “Better be dead, better never be remembered on this earth” sounds like some Masonic oath, and his “Well done, thou good and faithful servant” reminds be ‘the devil can also quote Scripture’. After his preaching, I stood in line to shake his hand, but I showed him “The Criswell Study Bible” and asked if his forward: “Harmonization of apparent discrepancies and explanations of passages thought by some to contain error are afforded the reader” meant all the errors or just some of them? BTW, I was unable to find from Google the number of full-time students at SWBTS. Does anyone know? It was 5,000 when Patterson and Co. gave Dilday the ax. Paste this link into your brower. Scroll toward the bottom of the page and look under "Students". Student enrollment was 2,588 in 2009-2010 (1,970 full-time equivalent). Wow! That is a huge drop in enrollment. I wonder how SWBTS would explain this? Didn't "they" think enrollment would explode once all the "liberals" were removed. Thanks, but I have another question. Where is the enrolment for 2010-2011? And now that school for 2011-2012 is half over, why don’t they publicize that number? I’m sure if the numbers were up, it would be in the Headlines. Good question. The only trouble is when the REAL liberals took over, the enrollment exploded to pieces. No one has suggested the BFM 2000 is on par with scripture. To make that claim is simply stupid. Anyone** who is going to work in the SBC should be told "You will sign the BFM 2000 without even one caveat and you will agree to teach in accordance with it....or else" If they don't, then what happened to those missionaries that didn't want to remain faithful to the Bible shold happen to them. **And when I say "Anyone" i mean church pastors ought to be required to sign it. The WMU staff DEFINITELY needs to be forced to sign it. I know both of those things are impossible but I can dream, can't I? I do not even think Joe B. is SB. He just loves to see his name on any blog. Because your and Patterson’s kind made that man-made paper HIGHER than the Bible. The proof is missionaries that would sign every page of the Bible were fired because they wouldn’t sign the ‘higher’ paper that required allegiance to Patterson and Co. They got WAY better than they deserved. Their boss told them "This is a condition of your continued employment". They defied their boss. Yeah, they'd "sign every page of the Bible". That's pretty funny since they, and you, are moderates who believe that the Bible "contains" the word of God rather it BEING the word of God (which has been the consistent testimony of the church). So they might sign every page, but they don't believe that every page is God's word. In the 1920’s, dumb Atheists started beating their drums that God didn’t exist because the Bible wasn’t perfect. Fundamentalists fell for the same trap saying God existed because the Bible was perfect. Joe, let me ask you a personal question: Do you believe the existence of God DEPENDS on the Bible being perfect? When the ruler asked Jesus to attend to his daughter, was she dead or alive by these verses? If you figured how those three Scriptures say the same thing and are perfect there are about 100 more discrepancies that you might solve that would make the Bible ‘perfect’. BTW, if all the discrepancies were added together and compared to the truth of the Bible, they would be about the size of a flee on an elephant. MAYBE God wanted the ‘flee’ to keep people from making the ‘messenger’ from breaking “Thou shall have no other gods before me” which includes the Bible. It appears Patterson has become completely blinded by his ego and pride. 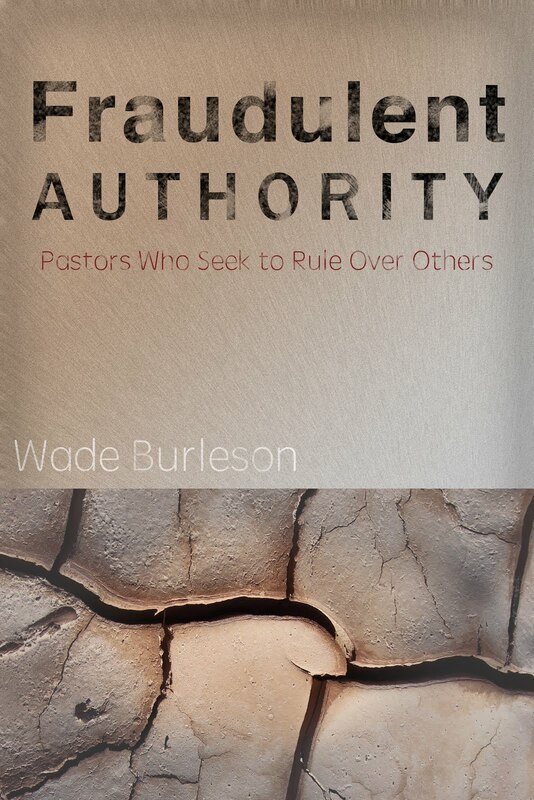 I am very grateful for the leadership of Wade Burleson for having the courage to stand up to Paige Patterson. May God richly bless him for honoring God by doing so. "When an inerrantist can be hostile, bitter, angry, conniving, self-serving and vindictive toward fellow Christians, then no matter how much we claim to believe in the inerrant word, our conduct contradicts our profession"
What I do not understand is why are there not more people standing up to say SWBTS is going down the tubes?? Great we have a big huge new auditorium but money could have been MUCH better spent. How about for missions or for retired prof's retirement benefits which were cut? How about the number of enormous issues: closing of the childcare center, closing of the credit counseling department, firing of all female profs, embarassing issues with Tarrant Baptist Assn, seriously . . a masters program for home making, drop in students. 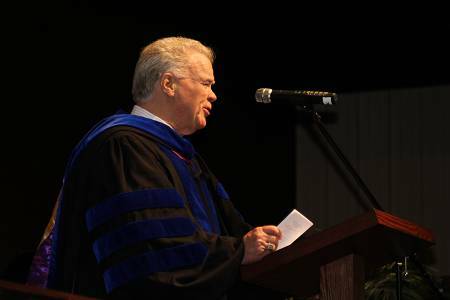 It goes without saying, it is time for Paige Patterson to retire from SWBTS.